This cute dog pin in a heart shape shows "puppy love" - an adorable gift for the dog lover. 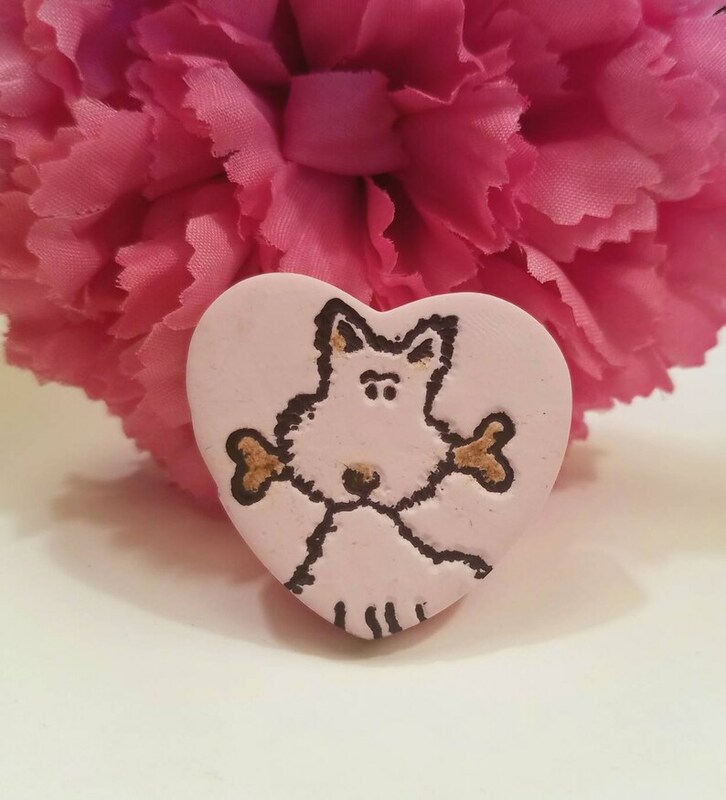 Handmade of pink polymer clay, the dog design is stamped in black ink and accented with brown pastels. Lightweight, measures about 1 1/4" x 1 1/4" (3.2 x 3.2 cm). Sealed with acrylic varnish, finished with a pinback with safety clasp. CUSTOM ORDERS welcome for a different color background. Can be made with any light color so the ink will show up. Examples: white, beige, lavender, light blue, light green or silver.